The Supreme Court bench of Justices Arun Mishra and Vineet Saran today reserved orders on the PIL filed by Centre for Public Interest Litigation seeking fresh probe into the death of Haren Pandya, who was shot dead almost sixteen years ago while being the Home Minister of BJP Cabinet in Gujarat. Though the trial court had convicted 12 persons in the case in June 2007, the Gujarat High Court acquitted all of them in 2011, after observing that investigation was "botched" and "misdirected". While the criminal appeals against the Gujarat High Court's acquittal are pending before the SC, the CPIL filed the PIL, stating that "new startling revelations" called for a fresh probe to look into aspects which were omitted to be considered by the CBI. The petition referred to the deposition made by a witness during the trial of Sohrabuddin Sheikh case - Azam Khan- that that Sheikh had confided to him that Pandya was murdered as part of a contract killing ordered by DG Vanzara. He has also allegedly made a statement that it was Sheikh's associate, Tulsiram Prajapati, who, along with two others, had murdered Pandya. The petition also made reference to a communication recorded in the book "Gujarat Files" by Rana Ayyub. A Shaik, a CBI officer who handled the Haren Pandya case, is stated to have revealed to Ayyub that the CBI had not done any investigation of its own and merely repeated what was told to them by the Gujarat Police. He also reportedly divulged that Pandya's murder was a political conspiracy in which several politicians as well as IPS officers including DG Vanzara were involved. Besides, there is a reference to a Times of India report of 2013, stating that Vanzara had told the team investigating encounter killings in Gujarat that Pandya was murdered as part of a political conspiracy. 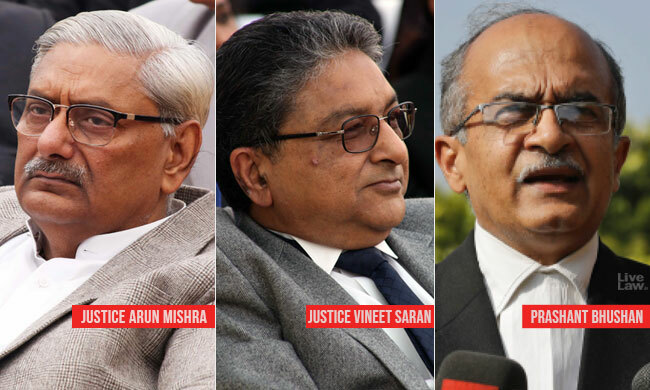 The bench today asked Prashant Bhushan, the counsel for CPIL, as to how he could make appearance for CPIL, being an office-bearer of the society. The Bench asked if it was not contrary to the rules of Bar Council of India. Bhushan replied that he was appearing on pro-bono basis to pursue public interest. He also said that he was not averse to the idea of appointing an amicus in the matter. The Solicitor General Thushar Mehta said that PILs in criminal matters cannot be entertained. He dubbed the petition as based on newspaper reports and statements in a book, having no evidentiary value. On Friday, this matter was listed before the bench headed by Justice Sikri. That bench expressed the view that the PIL should be heard by a bench headed by Justice Arun Mishra, which is at present considering the appeal against the 2011 judgment of the Gujarat High Court. It was on the morning of March 26, 2003 that Pandya was shot dead in his car as he was returning from his morning walk. The case was investigated by a CBI team under Y. C. Modi, who is the present Chief of NIA, stated the petition. While acquitting the 12 convicted persons, the HC had observed "The investigating officers concerned ought to be held accountable for their ineptitude resulting into injustice, harassment of many persons concerned and enormous waste of public resources and public time of the Courts".